The decisions that you make about your retirement plan today have a huge impact on your life tomorrow. 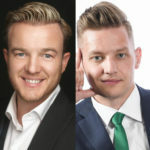 Your future isn’t going to pay for itself and in this episode, Harris Nydick and Greg Makowski, the coauthors of Common Financial Sense, will give you the knowledge you need to fund the retirement you deserve. Most importantly, you’ll know how to get to retirement with a large enough nest egg that you’ll be able to live comfortably. When it comes to investing for your future, most people don’t even know where to begin or what questions to ask, instead, they stay in denial and avoid the reality. This episode is meant to be your starting point. Harris Nydick: We both grew up in very modest upbringings, and as we went through school and grew up and went to college and started working, we found ourselves in an industry where you generally dealt with a lot of wealth and aspiring wealth and we had no issues getting involved in that area. However, when we started getting involved with 401(k)s, it got especially interesting. You were dealing with owners, CEOs, professionals who were all the owners or the heads of companies or organizations. They were responsible for making decisions about how to invest and then they had all the employees who had to choose of the types of investments that they had. What we learned is that we had our own financial DNA and our own financial fingerprint. We had a lot more in common with the employees than the employers because of our upbringing. This industry is completely built to serve the wealthy, and if you don’t have certain minimums, sometimes you don’t even get a live body to talk to. So the question is, where are the rank and file employees seated at the table of financial education? We could potentially move that needle and spend time educating the employees to give them the attention that they deserve, the respect that they deserve. Because everybody’s stack means the same to them no matter how big the stack is, and they don’t have opportunities to get the same kind of guidance potentially. Charlie Hoehn: Were you two at a position in your life where you felt you had high financial acumen that you were going to achieve financial success one day or were you still sort of figuring things out? Greg Makowski: We both are certified financial planners. Going through that program, you build financial acumen, and then we’re building our business at the same time. So we’re starting to understand what it takes to accumulate assets ourselves. How hard it is to save money and to invest money and not worry about the markets. You have to remember, it really wasn’t too long ago when the 401(k) and the 403(b) were actually rolled out in America. You have to think of the employees at that time, the employer was handling everything, isn’t profit sharing plans and pension plans. And if you talk to people in their 50s and 60s today that had a pension plan, they talk about the good old days and not having to think about anything, or worry about anything. There were large financial institutions that were doing things to employees that we weren’t comfortable with. And we got into the 401(k) business. Charlie Hoehn: Sorry, just to interrupt real quick, what kind of things were they doing that you weren’t very comfortable with? Harris Nydick: Selling large annuities to these employees, or the old B Share mutual funds where you get put in to a mutual fund and you can’t get out for five or six years or high surrender charge annuities. We really built an alliance of professional record keepers. You know, people that do their record keeping on plans. People that we thought were extremely ethical and had high moral standards. We stepped in and said, “Let’s create something,” and that’s how we got into helping employers and employees on their retirement plans. And then from there, it just kept building and seeing the incredible successes coming out of these employees of, “Yeah, you know what? I can take this on,” and have an incredible success of watching them come away with six figures in their retirement plans that they never had any dream of achieving. Charlie Hoehn: What kind of success stories do you really remember, in particular? Harris Nydick: Great question. You can almost bifurcate it. Because if you’re talking about the folks like Greg was speaking about, the folks that grew up sort of with that pension system and then they had to transition, those folks just felt they had no tools to make these decisions, had no information, not enough information to make a decision. So they took a lot of the default options, which were not very good at the time. By us being the delta and going and educating, we found that they were able to save enough to get to that six figure number where they could actually retire comfortably. We still hear from people who have retired from these companies. We’re still in touch with them and they’re in touch with us. And they always like to let us know what they’re doing, whether it’s a vacation, whether it’s funding grand children’s education at this point. Then, on the other side, the younger ones, they never had the pension plan. They knew from day one they were going to have to learn about this. I mean, clearly, you have to be earning a living wage to be able to even think about a retirement plan. If you can’t put food in your belly, your family’s belly, you can‘t putt a roof over your family’s head, you can’t put clothes on your backs, you can’t think about the day after tomorrow. Retirement plan isn’t really something to discuss. We realized there’s folks that don’t have access to this stuff. But for those that do, they have the ability because they’re young, because the gift of compounding, because of the gift of time. There’s no reason why they can’t save a healthy seven figure amount and they can’t even conceive of this until we lay it all out for them, it really is quite simple. 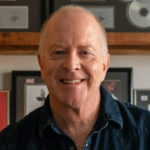 Greg Makowski: You know, what’s funny is, one of our favorite stories is a warehouse worker at a company that we’ve been handling their 401(k) with for more than a decade, quite a long time. This warehouse worker swept the floors and cleaned the bathrooms, never really made a lot of money, and he retired and had like $300,000. This guy had a dignified retirement and is still retired still living on the money, still has a great life. Those are the kind of stories that, when we see that change in people, that they can have dignity in retirement, that’s what really excites us. And then knowing that they’re the only one. When you look at statistics, it’s 3% of the country can retire in the lifestyle they’re accustomed to. We’re supposedly richest country in the world, and we know that Medicare, Medicaid and social security are heading for financial disaster. It’s really exciting to see people take control of their lives and walk away with dignity. Charlie Hoehn: How early do we have to take control of our lives? When do we need to start? Harris Nydick: We use numbers based on people being age 25, 35, 45 even age 55, being able to save significant amounts of money by the time they’re 65. Now, 65 is somewhat of an amorphous number, because there are many people that get to that age and say I still love what I do, I still really identify with what I do during the day, I know I don’t want to sit at home and do nothing all day. I don’t want boredom and depression, I want to go and be active so people are staying active and working well past 65. But we use 65 as the finish line for the math anyway. Even starting as late as 55, you can accumulate much more money than you otherwise would think actually. As Harris said, you actually can change your life. If you can confront it, you can change the situation right now at any age, you can improve your situation. The analogy we use is if you’re 25, if I handed you a marble and I told you you had to put it in your pocket and carry it around for you for the rest of your life, you could probably carry the marble without any issue. Well, you wait a few more years and I take away the marble and you hadn’t started, now you have to walk around this golf ball in your pocket for the rest of your career. Maybe you decide you don’t want to do that, you wait a few more years. Now I say well, you’re going to have to walk around with this softball in your pocket for the rest of your career. If you wait until you’re mid to late 50s, we’re giving you a medicine ball to carry around, it’s very difficult. Charlie Hoehn: Probably the most common question I would imagine you guys might hear is, how much money will I need to retire? Harris Nydick: That really changes. So for instance, if you’re going to live in the northeast, where a common real estate tax is $10,000 or $12,000 on your house and you’ve got high state income taxes, your number is going to be pretty high. To get to that number, you’re going to have to save more money than if somebody maybe lived in the south and had a lower cost of living. If you’re a person that says, “Hey, I’m 30 years old, I’m not going to look at this thing for 30 years and I’m going to put away six or seven or 8% of my money” or whatever the number is, it’s going to grow to a lot of money. There are tools today that your 401(k) provider has that you can use to help you figure out what your number is. Now, the government says, and a lot of industry would say, you need to save 10% of your salary. That’s a hard thing to do to start out with. We say, let’s start with something. Because emotionally, that’s an incredible feeling when you start with something and then let’s get you to the number. Greg Makowski: We see a lot of articles and pieces out that discuss, “Well, you need between 75% and 85% of your working income in retirement,” that’s the benchmark that a lot of people put out as a goal. That’s not what we find to be as a reality,at all. We find that what starts out as life’s to do list becomes life’s bucket list as you get older, and that bucket list needs funding. The first five to seven years of your retirement, you’re tending to do those things, whether it’s travel, one of our clients didn’t know how to play the piano but wanted to become a jazz pianist. The good news is, there’s a lot of jazz pianists who are willing to teach you that, but again, it’s not free, it takes a lot of time. It’s expensive. Then they settle into a groove and they get into a more localized routine and then they spend many years hopefully at much less than 100% because they’ve gotten in the routine. They’re not traveling as much, they’re not spending as much, they’ve checked off a lot of their bucket list items. The grandchildren who they want to visit are now growing up and have other things to do. Then, at the very end of life, of course, the expenses spike up dramatically for terrible reasons, you know, healthcare and things like that. We think you should understand that you can go into it knowing that in the first five to seven years, you’re going to be spending more, and it’s important to have that understanding so that when you retire and you no longer have that earned income coming in, you’ve set enough aside so you can actually spend it and enjoy it and especially to enjoy guilt free. Charlie Hoehn: Based on previous conversations I’ve had with financial planners, inflation tends to be overlooked by almost everybody and versus – what is versus? Greg Makowski: Versus is the enemy in your own mind. It’s always between something and something else. What’s the difference between simple and easy? People use those words interchangeably, but let me tell you, the idea of losing weight is simple but it’s not easy. It’s a billion-dollar business. Clearly it’s not easy. Then you have the idea of scary versus dangerous, and the example we use is there’s over 30,000 types of spiders but two dozen of them I believe are poisonous, but they’re not dangerous at all. But they scare us all. They all scare us. There are a lot of wants out there that the marketers do a very good job of trying to sell us and market to us all the things that we need, even though we don’t really need them. Versus is really about trying to deal with the enemy within, in our own minds of trying to understand what needs versus wants are. And then there was a really valuable lesson for her. 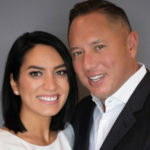 Now, she works in our business and she understands the marketing pressure that everybody’s hammered on needs versus wants and how many kids need a new car, how many kids need those expensive shoes or they need the latest, thousand dollar iPhone versus really, that’s what they want. 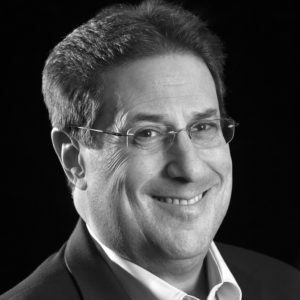 Greg Makowski: What’s interesting is it’s not just the marketers that create the pressure. Social media creates the pressure also. You know, the whole notion of YOLO, right? You only live once. You got to go do this now. That’s a concept that’s been with many generations, but this generation upcoming now seems to have branded it into YOLO, which is great. Of course then there’s FOMO, fear of missing out. You don’t want to find out that everyone else went and had a great time while you didn’t do something and whatever that is, usually cost money. What that stands for is how are you paying for that in retirement? Charlie Hoehn: That’s going to be rolling off the tongues of millennials everywhere. Greg Makowski: Well, truly, Charlie, we’re all about YOLO and FOMO but yeah, you got to have HAYPFTIR because without HAYPFTIR, you’re not going to be able to YOLO in retirement. If you need that pocket book or whatever it is that you feel you need, that iPhone – where are you going to come up with the money 30, 40, 50 years from now? Harris Nydick: My daughter says I take the joy out of shopping now. Because I taught her the time value of money and a dollar saved. Let’s make it easy, let’s say money doubles every 10 years, and you spent a hundred bucks on a pocketbook. Twenty years from now, that $100 in 10 years goes to $200, and another 10 years is $400. That $100 pocket book is really a $400 pocketbook, and then 10 years after that, 30 years from that, it’s an $800 pocketbook. Then there’s this great chart that says, why do wealthy families stay wealthy? Because they understand how money grows. A dollar invested in the stock market 90 years ago is over $5,000 today. And that they’re really thinking about, well, do I really need this or do we really want this? What is this want really going to cost me? Charlie Hoehn: You have a section called, “Save better, Live better.” Why not invest better, live better? Harris Nydick: We actually thought about calling it that, but what you’re really doing is putting money aside for the future. We prefer to use the word save because any dollar not spent by definition is saved. Because if you are going to go into the retirement plan you are going to then see the money and control to one of the investment managers will be doing the investing. They’re making a decision as to who they are going to allow to do, to make the investing, to do the investing for them. So therefore, they shouldn’t be so hard on themselves should the account go down. You know there is a lot of things that people should be thinking about when it comes to investing. But yet, everybody is focused on one thing and one thing only: the returns. That seems to be the only thing that matters in the score card, which I can relate to. As a kid, I can remember going to the parent-teacher conferences and the teacher would say, “You know Harris is improving. He’s up to…” whatever grade, but it wasn’t up to my parents liking and then the teacher say all of these wonderful things about me. My parents heard none of that, they just heard that the returns weren’t the return they were expecting. So really what we’d like and why is that we spend over time in return, when it is the one thing we have absolutely have no control over. There are four other ideas, four other things that you can absolutely have control over that will really give you control of the situation that have nothing to do with the investment itself. You can control how much risk you take. You can control how much time you remain invested, in fact the younger you are you may not haven’t even realized but you have this gift of time and you should take advantage of it. The single biggest mistake we’ve seen in our business over the 30 plus years we have been doing this is that people start out young…Let’s say we meet with a 25, 30 year old and they’ve got a 30-40 year timeframe. So we build out a 30-40 year timeframe strategy. We then execute that 30 year or 40 year timeframe strategy, and then a year or two later, kick up the hood, let’s start tinkering around with this. And so what happens is having one 40-year strategy devolves into having eight 5-year strategies eventually, which then devolves into having 40 one-year strategies. So if you have a long term goal and a long term timeframe, you should be remaining invested for a long time. As we spoke about earlier, your emotions can be self-controlled, and that is something we discuss. There’s a lot of emotions wrapped up into investing that go back to when we were kids. Then last of all, believe it or not, you can still control the quest of your investments, even if it is in a 401(k). The only thing that you can’t control are the investment returns, but that’s where everybody spends their time. It is astonishing to us. Greg Makowski: If you had an investment that you saw earned 25% a year, which is an impossibility…25% a year, 25% a year, 25% a year an infinite item, it doesn’t mean anything to you if you only put a 100 bucks in it. If you put a lot of money into an investment and let’s say it only earns 6% a year, but now you are putting away $5,000 a year, the guy putting away $5,000 a year in an investment that’s earning less is going to have a lot more money than the guy that only put a 100 bucks in something that is magical. So you have to save to invest money. Charlie Hoehn: What simple steps do you recommend in this book to help me succeed and move along the path toward retirement? Harris Nydick: Well first, you have taken the first big step by starting. One of the things we point out is that let’s say you are ready to start saving some money. So you’ve got some extra money, and the question is what do I do with it? Do I invest it in a regular investment account or do I put it in my retirement plan? What we found is that you actually have more spendable income if you use Uncle Sam as your investment partner by being able to put the money away pre-taxed now. You have more spendable income right now, and in the midst of writing this book of course the tax reformat was spoken about and then passed and so we have to go back to the drawing board. We said, “Hmm I wonder if this portion still works.” And the answer is it still works even with the new tax laws with lower tax rates, you are still ahead by putting the money away into a retirement plan instead of investing it without. Most people look at their expenditures, they pay all their bills and then whatever is left over that’s what they invest at the end of the month. We all know, for many of us, there is nothing left over at the end of the month. We’re lucky to even be breaking even at the end of the month. So if you don’t pay yourself first and take this off the table first, you can’t spend money what you don’t have. So if it comes out of your payroll and somewhat painless. That’s something else to consider. 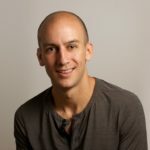 Greg Makowski: You have to make a game. So saving money is not fun. Spending money is fun. So it’s really you have to create a game for you out of this. I am not sure how closely you keep track of how you spend your money. But if you use credit cards or debit cards for most of your expenses, you can track all of that with the yearend summaries and you can download the statements and create a little game for yourself. Can you create an extra thousand or $2,000 of net worth by saying, “I am going to save that extra 100 bucks a month”? Needs versus wants, and put it into an index fund or some kind of a mutual fund and grow that money so that after the end of the year, I’ve got extra money. And you take advantage of that term that everybody has heard, dollar cost averaging. These share prices go up and down, but it’s this consistent game that you are playing: can you keep increasing the amount of money that you save and invest? So if you make it fun, it becomes part of your game just like spending money. Now you are buying investments instead of spending money, so it’s a game. Charlie Hoehn: What’s your challenge to listeners? Harris Nydick: We hear from a lot of people a lot of reasons and excuses why they can’t start. Well, there’s no reason why you can’t start with a dollar. “Next week I am going to save that dollar and I am going to save one more dollar. I’m either not going to buy the fancy coffee, or I am not going to buy the bottle of water. Of course, you don’t want to drive your HR department crazy by increasing your allocation by a dollar every week. You want to do it may be like $10 or $15 every quarter or something like this, but what becomes very interesting is if you do that at the end of the year, you will save between $1,300 and $1,400. If we just invest that amount, so every year if you would stop at the end of year one with that dollar a week game and invest that amount of money, you could actually amass a major six figure pile of cash by the time you retire, depending on how old you are. By the way, you have to invest that amount every year to do that. It doesn’t ask for an increase beyond year one, but what you’ll find because of the gamification, a year later if you are doing this every week, it’s created a wonderful new habit for you. So every quarter what happens is into year two, into year three, people are still adding that $10 or $15 a quarter. They’re still adding that dollar a week, because they’ve made it a priority, and by making it a priority, you win the game. You get the psychic buzz of winning the game that week. And now, you also get the psychic buzz of seeing your account actually growing from nothing, to something, to a lot. Charlie Hoehn: You talk about the Roth and the 401(k) option, employer match. Talk to me about monitoring our progress. What do we need to know about monitoring our progress and achieving financial wellness? Harris Nydick: Well, there’s a few things you need to do, but first of all, we’re all on track whether we realize it or not. We either take a look, we can take a look at what we are setting aside or what we are not setting aside and what we’ve already set aside and that’s going to grow at a certain average amount every year for the next X amount of years. So we were on a trajectory, we just may not realize it. When you map your current trajectory, what most people find is that they are not happy with what that trajectory looks like. What we can create very easily and you can create very easily is what I refer it to as a gap analysis. In between there is a terrible gap, a huge gulch that we have to breach. We have to get over that and we have to figure that out. You can’t have a plan until you understand you have an issue. Greg Makowski: So every major 401(k) and 403(b) provider has software systems today to help you do that. And so what the employee should do is you have to understand you are paying for services and you have to demand the services be delivered to you. If you’re paying for services you’re not getting, you should demand the services. That advisor can help you either one on one or that advisor can run a seminar at the shop or the office and teach people how to use the software so that you can track where you’re going. And then they start crying because they never knew how to track what is going on. They never asked that question of their employer or their 401(k) advisor. Harris Nydick: And if unfortunately gets to that spot, you really have a matrix of three options right? We can either work longer, we can save more money and reprioritize our lives financially, or we can invest more aggressively. Now the good news is in almost every scenario we have ever analyzed, you rarely have to do all three things unless literary their head’s been in the sand the whole time. Because they’re paying for it. They just don’t know it. Ask for help. Charlie Hoehn: So if you haven’t already shared it, could you share the person’s story who you are most proud of helping with getting common financial sense? Greg Makowski: Yeah, it’s really that fellow that we spoke about. It’s really the guy, I am not going to use his real name in case he hears the podcast, so I am going to call him Jeremy. It’s really Jeremy at his retirement party, who again, he just pushed a broom. That’s what he did, he just cleaned things. That’s what he did for his entire career in a little shop in New Jersey. He really wasn’t sophisticated. He just saved money, saved money, we helped him invest it, help him invest it, helped him invest it. He never really looked at statements and he never really cared about anything. We just did it. That retirement, he’s got $300,000. It just blew his mind. He knew nobody that had that much money. There’s nobody in his neighborhood, nobody in his family, none of his friends, and he was just beyond tears. So that’s what incredible. Harris Nydick: And we feel very blessed and we have a lot of gratitude for having chosen this line of work because we get to see it every day. We get to see the lightbulb go on for the people in these meetings that we attend when we start explaining these issues and the problems and the solutions, because we explain them in simple English. We don’t use jargon, we don’t use the fancy words that they use in some of the television shows. That’s why the name of the book is Common Financial Sense. Why is it so uncommon? Because people for some reason seem to unnecessarily complicate or use big words that aren’t necessary. So it’s important that we explain it clearly, and seeing the light bulb go on for the employees at these organizations and companies really is a tremendous thrill for us. Because remember, we go there on a regular basis. Education is the key, and then for us, it’s aspiring to see the lightbulb go on for so many employees. Charlie Hoehn: Beautiful, Harris and Greg, this has been great. The book is Common Financial Sense. Tell the listeners where they can get in touch with you and follow you guys? Harris Nydick: Well of course, they can follow us on LinkedIn, we’re on LinkedIn, Harris Nydick and Greg Makowski. We both have our own LinkedIn stuff, so you can reach out to us there. But what we’d really like you to do is reach out to us at this email address: cfs@cfsias.com. We’d love to hear your stories, hopefully you’ve got some challenges, you’ve got some triumphs. And if you feel really stumped, feel free to ask us any question. We can provide you with some education around whatever your issue is, but we would love to hear what is it that’s preventing you from getting over the hill. Maybe we can help you get over the hill, and maybe we can help you get out of that noise that you have inside your own head the way we all have noise in our head about problems that we feel we can’t get through. 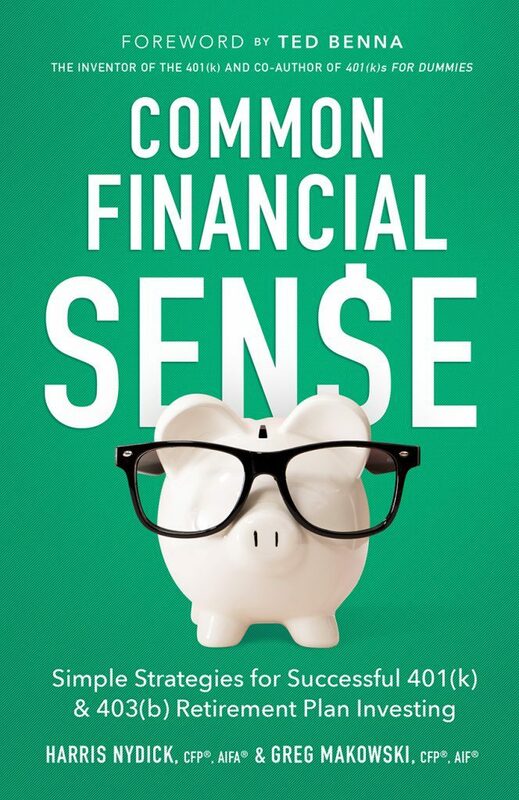 Get Harris and Greg’s new book Common Financial Sense on Amazon. Find out more at CFSIAS.com.